Someone wrote to me having read my last blog post agreeing that there was just something about Laos that seduces you. I couldn’t agree more and still miss it very much. But if Laos is the partner your parents aspire for you to settle down with – peaceful, lovely, gentle, reliably wonderful, Vietnam is the one they fear, and the one you always fall for – gorgeous, dark, slightly crazy, unpredictable and horribly addictive. 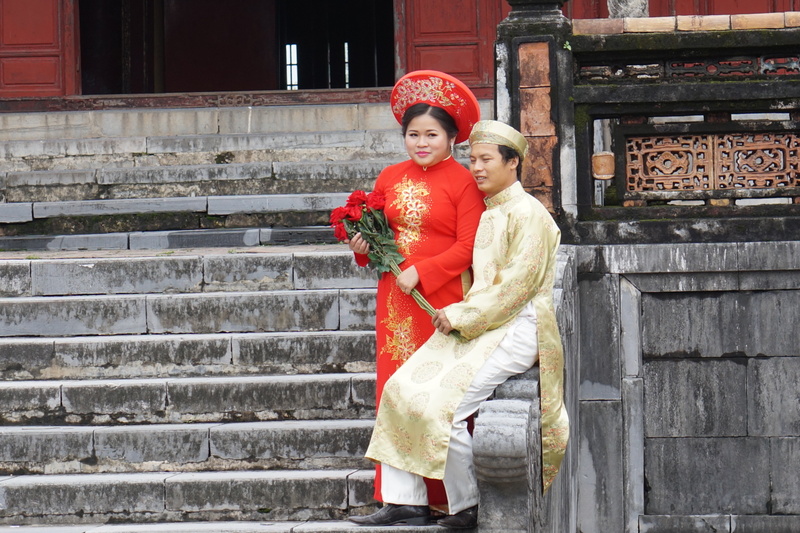 From the moment we arrived from Laos and experienced the complete madness that is Hanoi, I have loved it. It seduces you in a completely different way. 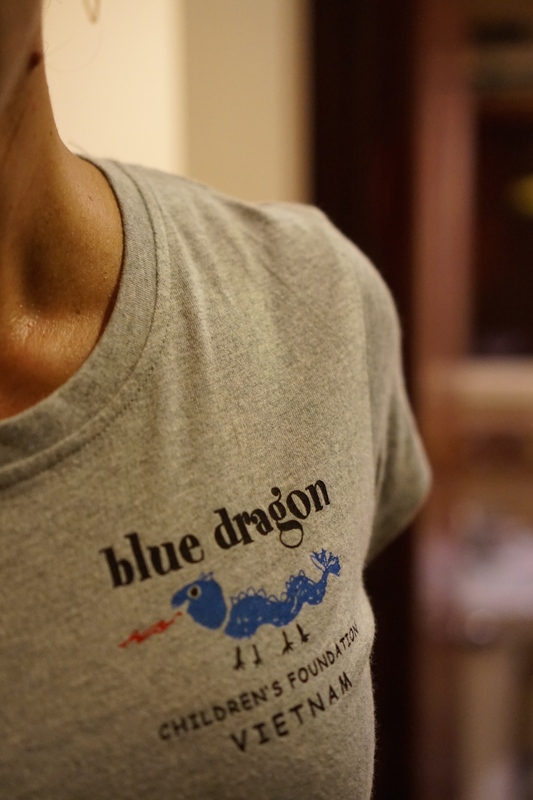 I mentioned a few posts back that I had been warned about crossing the road in Hanoi. The traffic is quite simply mental. If the attached video works, you will see what I mean. Apparently there are 4 million motorbikes in Hanoi. But weirdly, it works. And by the time I left Hanoi after almost a week there, I had learnt that all you did was step out and walk slowly across the road, and the traffic simply moves around you. We saw no accidents, there was no gridlock – just a lot of beeping, swerving and laugh out loud moments as you watch the traffic in action. And that is before you even start on what people carry on their bikes. Several of you will have seen the cow picture already – if I hadn’t seen it with my own eyes, I wouldn’t have believed it. And the poor animal was alive! Entire families are carried on the back of a bike. In the midst of a busy junction, I have seen it all – a passenger putting on her make-up, riders’ texting/phoning/selling wares, passing things between other riders, eventually such sights become the norm. 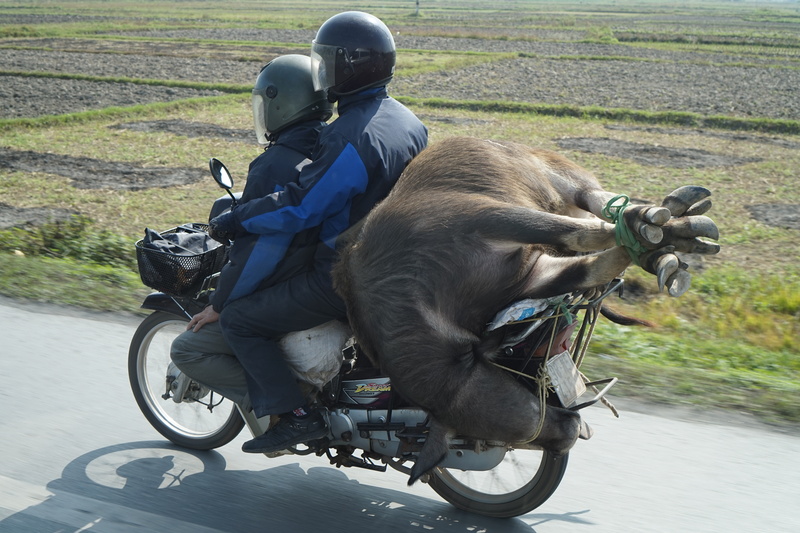 If the traffic becomes too heavy, that is no problem, because they just ride on the pavements. Numerous times as I was standing there, minding my own business, I suddenly realised that I was about to be mown down by a rider. Of course, that’s if you can walk down the pavement – usually it will be blocked by parked bikes. People even ride directly into stores and park inside. It really has to be seen to be believed. 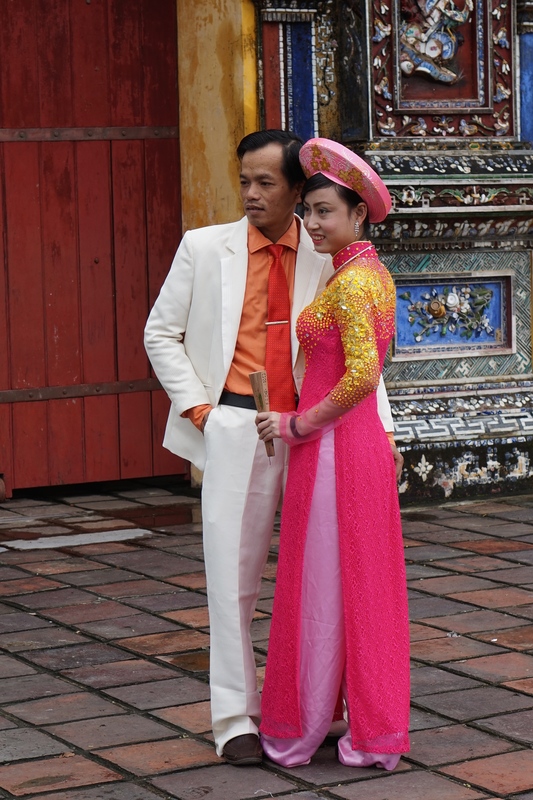 It is wedding season in Vietnam at the moment (as it is cooler – may work for the locals, personally I have been quite chilly). Seemingly it is customary to pose for a romantic shot in a public location before the big day… here are just a few snaps. 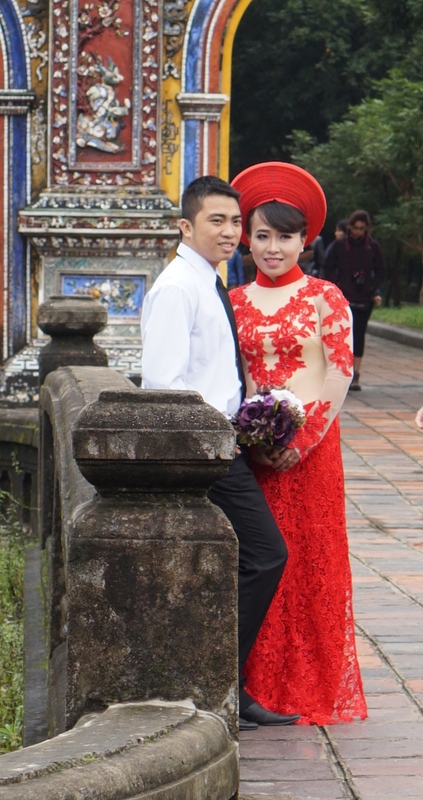 We (my new family now comprising just 2 other girls) were lucky enough to go to a local wedding on our way back to Hanoi from a trip to Halong Bay a few days ago. A fellow tour guide was getting married and having one of the receptions at his parents’ house. We were a bit concerned that pitching up in our jeans and trainers may make us look even more out of place than we felt we would be as random punters at a wedding. However, it turns out that only the bride and groom and maybe their immediate family dress up for a wedding. 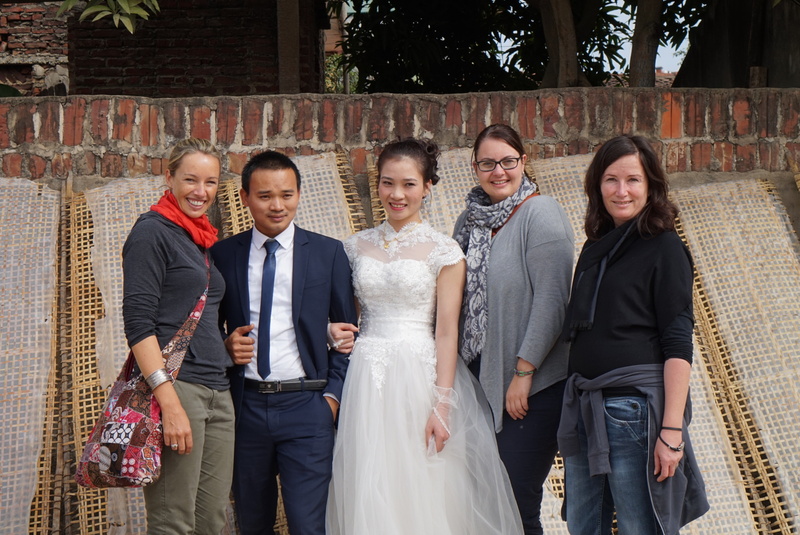 Everyone else just turns up mid morning, gives a gift of money, sings a bit of karaoke, eats lunch, catches up with friends, toasts the bride and groom with ridiculously potent rice wine (and a ridiculous number of times), and then it is all over. On the way out to Halong Bay we had stopped off at Blue Dragon Children’s Foundation (www.bluedragon.org) an organisation supported by Intrepid Travel (the company I am doing many of my trips with) that works with street children in a variety of ways – reuniting them with their families, supporting their education, keeping them off the streets. I found myself profoundly moved by the work they do and the situations many children find themselves in. The child trafficking trade is terrifying. A few months ago I did a personality profiling test which had me totally off the scale where empathy was concerned and I think Intrepid saw me coming. Take this girl to one of our charity partners, show her a moving video, watch her cry, then buy a t-shirt, donate money and pledge to stop being a corporate slave and do something more worthwhile with her life. It happens every time. 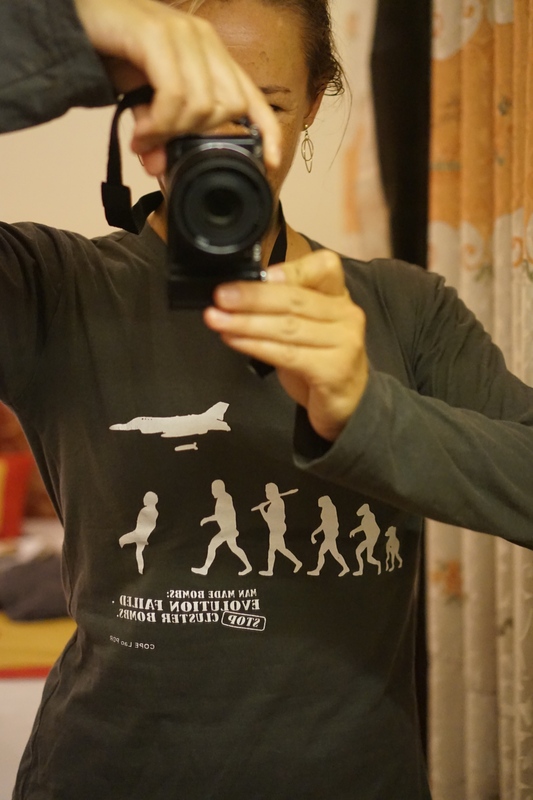 I am accumulating the t-shirts and the best of intentions…. 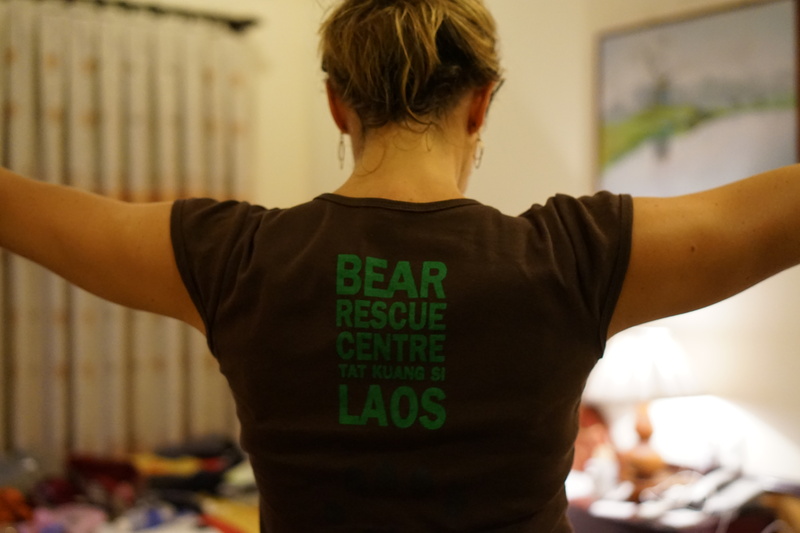 But in all seriousness, I am glad to be travelling with a company that takes such an interest in local initiatives (they have their own charitable foundation that supports local partners and matches any donations you make), and encourages you to be involved (COPE in Laos being another example). And it is so thought provoking which is one of the reasons I came away, after all. What defines poverty, hardship, and dangerous situations in places such as Laos and Vietnam are so extreme in many cases that it seems wrong to draw any kind of comparisons with what many describe as poverty and hardship in the UK. I don’t want to get on my soap box when I am horribly lacking in adequate knowledge, and there are undoubtedly some tragic situations in the UK, but I think sometimes an awful lot is taken for granted. We do not have to worry if we are going to have any water this week, we have healthcare and, let’s face it, the vast majority of people have sky tv and smart phones (I know I am generalising, before anyone berates me for sounding like a Daily Mail reader). 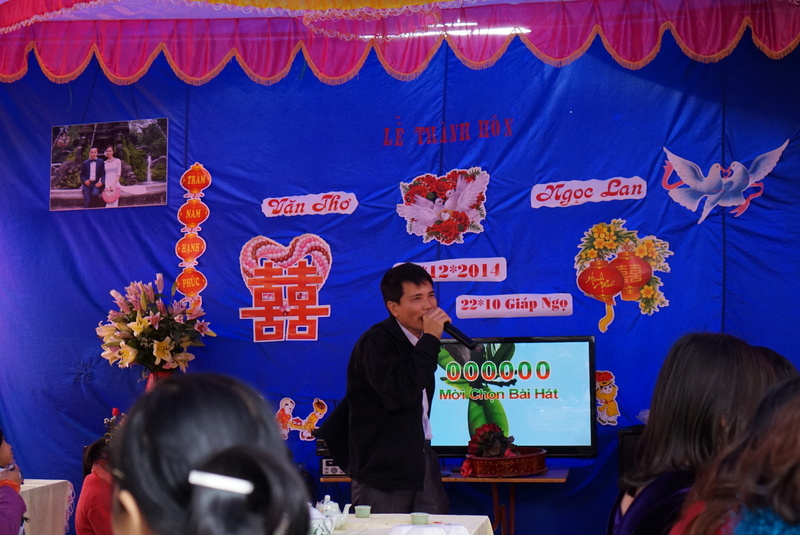 In Laos I watched a video about a 9 year old boy who died whilst playing with an unexploded bomb which promptly blew up. His parents found a truck driver to take him to 2 different hospitals, neither of which had any resources available to treat him. In the end the truck driver refused to take him to another hospital as he didn’t want the bad luck of the child dying in his van. His parents took him home and didn’t even have any water to give him when he asked for a drink just before he died. Heartrending stuff. 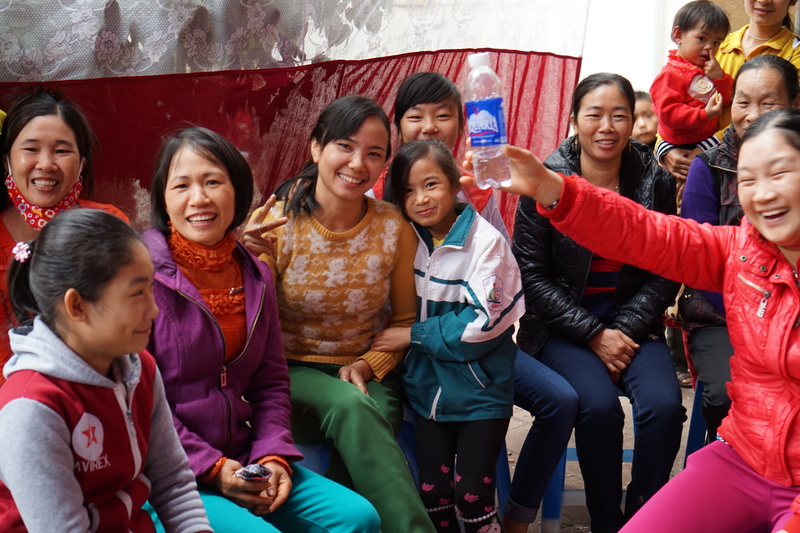 As for child trafficking in Vietnam…. all I can say is there really are some evil people in this world. Anyway, it just makes me think, that’s all I am saying and I am glad that I am having the opportunity to really get under the skin of each country I am visiting. It helps to keep life in perspective. 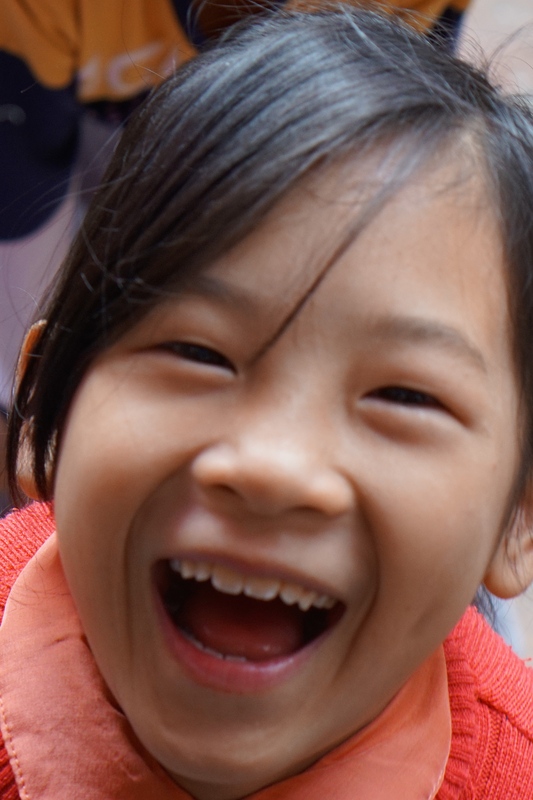 On a lighter note, I have maintained this charitable giving throughout Vietnam in a manner which our guide has coined “supporting the local economy” but which is more commonly known as “shopping”. In my case, it feels more like I am in fact propping up the local economy with my mastercard, or “plastic money” as they keep telling us in the shops. And then supporting the local post office by shipping it all home when I can’t find a friend to take it for me*. I do try and reconcile my finances regularly but have to admit this week I am a little scared to do so. Oh well, trip of a lifetime and all that (or, if you are my friend Angelina that will be trip of a ‘legume’ according to her phone’s spellcheck). I suspect I will return from my travels emotionally rich, financially bankrupt. I appreciate that this post is distinctly lacking in detail about Vietnam and the places I have been. Here’s a little insight. Its amazing, I still have another week to go before heading to Cambodia, and I will post more cultural references at a later date. In the meantime, it’s a week until Christmas!! I have never felt less Christmassy although I have to admit to feeling a little homesick earlier today when I heard Christmas Carols being played in a coffee bar. In case I don’t post again before Christmas, I hope you all have a great one, please savour the turkey and mince pies for me. My favourite meal of the year is Christmas lunch so I will really miss it and I suspect my parents and sister may feel a little sad when I am not there to win the race to finish first (which I always do) and eat the rest of the parsnips. And as my itinerary for Christmas Day involves being in the Killing Fields, I think I need to get those tissues ready now…. *Shout out to Tracy, Gesa and Daniel!! ← The trouble with boys….